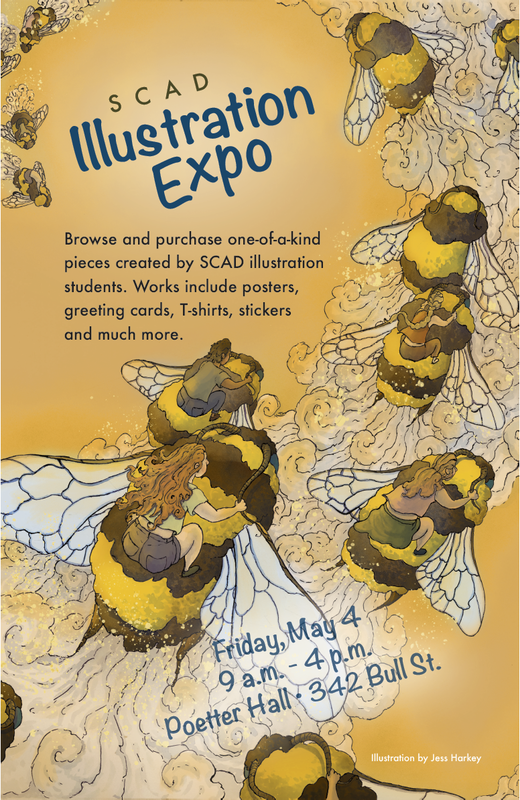 This is a poster I did for the SCAD Illustration Expo. It's an amazing event that allows students of the Illustration department to sell prints and any other products/ merchandise. This poster could be seen all over Savannah, GA as well as the SCAD Campus. The image was created using ink, watercolor, and Adobe Photoshop.